It's a boy! It's a girl! 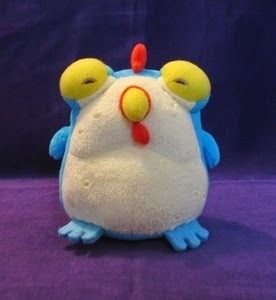 It's a chicken/frog hybrid with the warning: "DO NOT LICK." 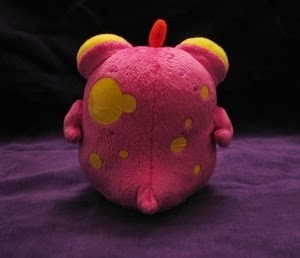 With the sold-out Poyo mini-busts now heading out the door, we're making room for our next bit of CHEW, a new plush line that kicks off with pink and blue Chogs. The little guys (and gals? we haven't sexed them ...) come packaged in a Sushi Ono takeout box. 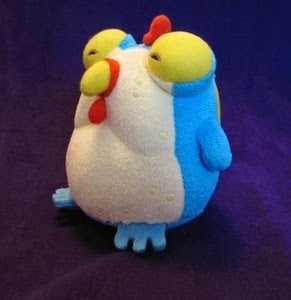 Blue plush pre-orders placed by July 4 will be signed by Rob Guillory and pink plush pre-orders placed by July 4 will be signed by John Layman. 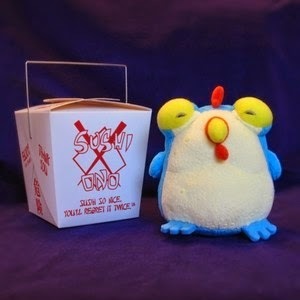 Chew fans are in for another amazing treat from Skelton Crew Studio and this time they are bringing us Plush Chogs. 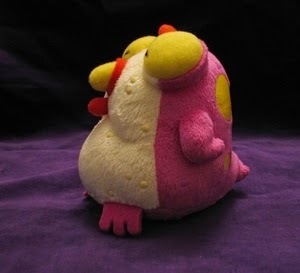 There will be two Plush Chog variations, blue or pink. They are both now available for pre-order on the Skelton Crew Studio site. It's fricken plush. And blue. 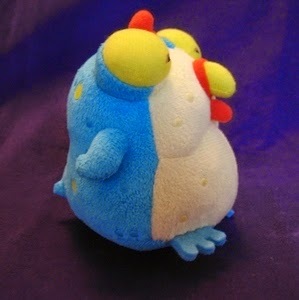 The Blue Plush Chog has lept from the pages of John Layman and Rob Guillory's popular "CHEW," published by Image. This officially licensed replica measures approx. 4-inches tall. 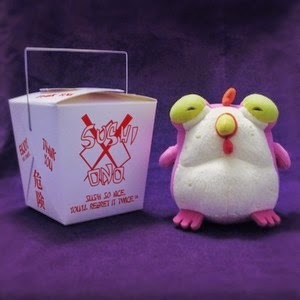 It's boxed in an original Sushi Ono takeout carton and includes a magnet from New York's favorite questionable eatery. "Sushi Ono: Sushi so nice, you'll regret it twice!" 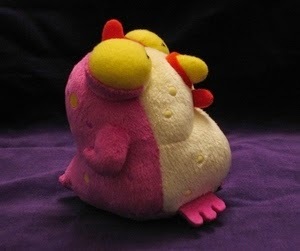 The plush Chog is a collectible, not intended for children. For ages 15 and up. Not guaranteed to taste like chicken. 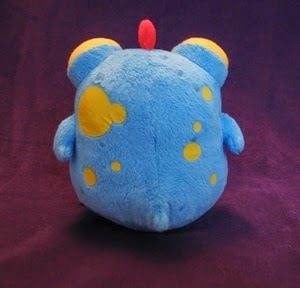 It's fricken plush. And pink. 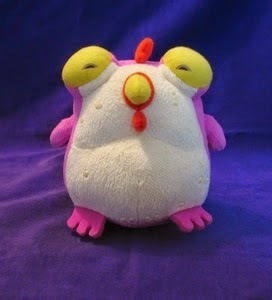 The Pink Plush Chog has lept from the pages of John Layman and Rob Guillory's popular "CHEW," published by Image. This officially licensed replica measures approx. 4-inches tall. Not guaranteed to taste like frog.